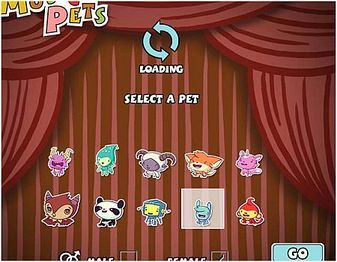 Music Pets was a Facebook game developed by Conduit Labs in 2010. This game included music licensed from Universal Music Group, as well as 150,000 tracks from independent labels (such as Beggars Group, DFA, Domino, Downtown Records, and Modular). At its peak, Music Pets had 1.2 million monthly users. In August 2010, Conduit Labs was acquired by Zynga, and Music Pets shut down on September 17. In October 2017, LMW user Mewtwowimmer began compiling a list of artists that he remembers spotting and/or unlocking in the game. Music Pets was similar to Pet Society, another Facebook app. 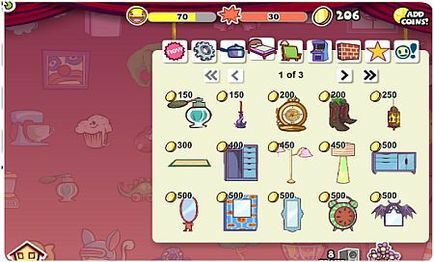 Both games allowed users to decorate their pet's room and feed it (with food like "John Lemon" or "Avril Lasagna"). The user could also make their pet happy by playing licensed songs. 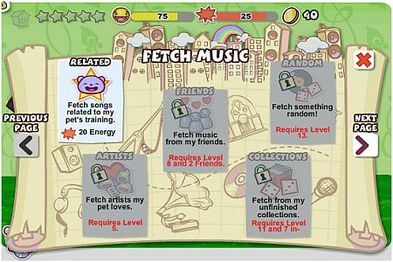 The pet could also "fetch" tracks by the user's favorite artists. 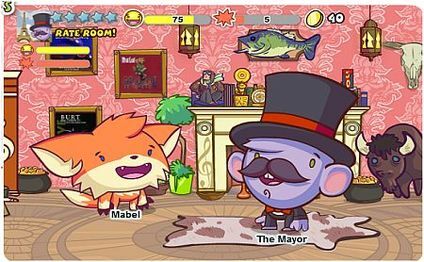 The user could also play their music with their Facebook friends, as well as visit the "mayor" of the game. The available pets were a monster, a squid, a goat, a fox, a cat unicorn, an owl, a panda, a robot, a rabbit, and a monkey. The user could choose the pet's gender, name the pet and change its color. Since some artists were not available in the game, the game would suggest similar artists. For example, Music Pets did not have any tracks by The Beatles (at the time, that band refused to license its music for downloads, and would only join Universal in 2012), but there were songs by Paul McCartney and his band Wings. In order to improve their pet's music tastes, the user would "love" or "hate" tracks, or the user would play a Pachinko game with one artist at a time; the videos in this article are for Justin Bieber and Gwen Stefani. If a user collected all the songs in an album, they would earn a poster of that album. (The Mayor had one of Meat Loaf in his room). 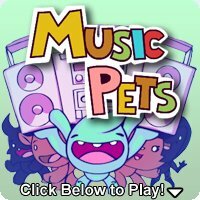 More gameplay footage of Music Pets. A pet visiting the mayor. Progress screen of a Lady Gaga album.